Those Victorians, they loved to travel. Travelling was the sign of a well-made Victorian man, it encompassed the modern view of one’s self, the ability to boast of where you’d been. In the height of the travel bug boom of the late 1800’s, Louis Vuitton Malletier (“Louis Vuitton Trunk Maker”) opened in Paris in 1854. As the ability to travel grew affordable and dependable, the luggage trade sky rocketed and Louis was there to meet the demand. 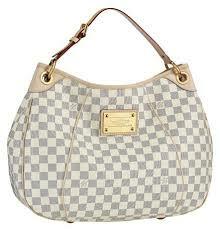 The Louis Vuitton reputation grew quickly, sparking imitaters to copy the designs of their rival, and thus beginning the quest to stay one step ahead of the counterfeiters ever since. 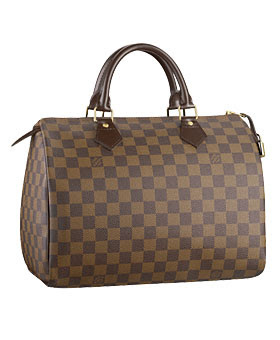 Louis and his son Georges collaborated in 1888 to create the Damier canvas design in Ebony, one that is still in use today, in both men’s and women’s bags. 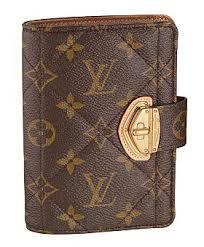 It’s also available in Azur, a color many women prefer to carry (especially in warm months when wearing white). The next pattern, the Monogram Canvas, released in 1896 and is, arguably, their most popular ever. The design incorporates the Victorian Japonisme/Oriental trend in the flower designs within the pattern and has remained perhaps the most counterfeited logo in the handbag industry to date. The deepest irony here is the fact that the pattern was created over a century ago to handle the counterfeiters of those times as well. Buyer beware, in any century.